Reduce your gas bills and your carbon footprint at the same time with a Rheem 4 Star 170L gas water heater. 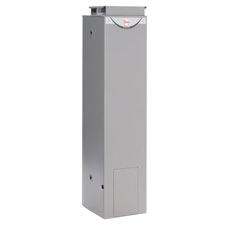 It's an easy and more energy efficient replacement for most older gas water heaters. How can I ensure I use off-peak electricity to power my water heater? Please contact your electricity provider to confirm the times when you pay off-peak, shoulder and peak tariffs for your electricity. Your water heater will be connected to an appropriate tariff (timed control), depending on its capacity, to ensure you have sufficient hot water for your needs. Twin element water heater models have the added benefit of using off peak tariffs to save money whilst providing an extra boost should it be needed. Please see the Owner Guide for your Storage Water Heater model. My Rheem Solar Hot Water System is showing a fault code. My water is too hot, how do I turn down the temperature? For showers to operate correctly, it’s necessary to store your hot water at a minimum of 60°C. If your water heater is fitted with a temperature limiting valve and the water is hotter than it should be, please call Rheem on 1300 556 036. 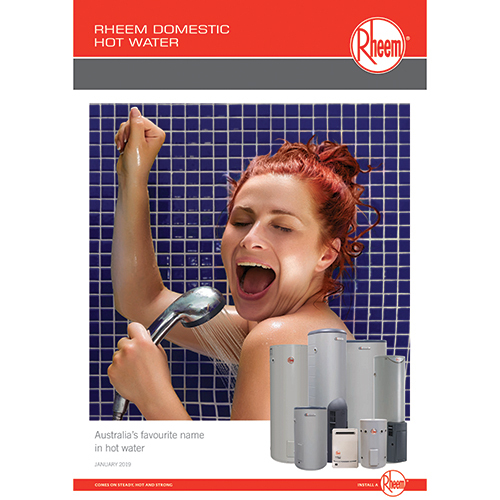 To find your local Rheem Plumber, contact us or call Rheem on 1300 556 036. Reduce your gas bills and your carbon footprint at the same time with a Rheem 4 Star 135L gas water heater. 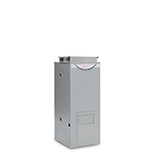 Reduce your gas bills and your carbon footprint at the same time with a Rheem 90L 4 Star gas water heater.